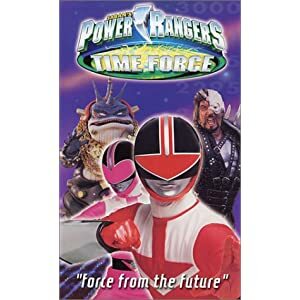 This is a Chrono Morpher from the TV series Power Rangers Time Force. 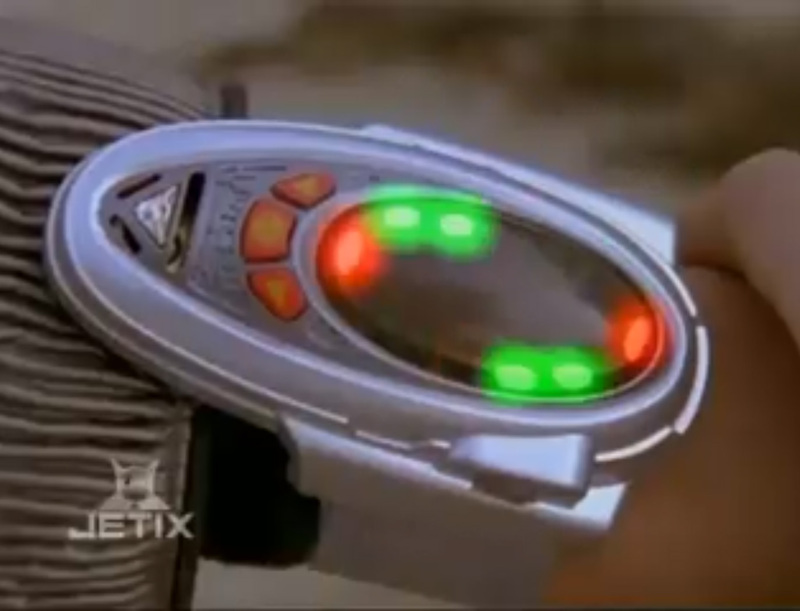 These morphers can be seen throughout the series as all five Rangers wore them on the wrist and allow them to quickly change into the Power Rangers when necessary. 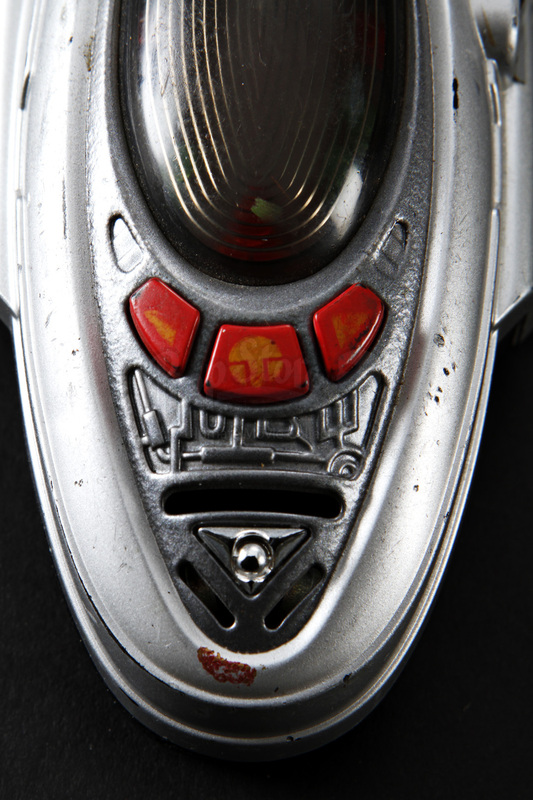 In the series, the Morpher could also display holographic images, and even imprint the wearer’s DNA so only they, or someone with similar DNA, could use them. 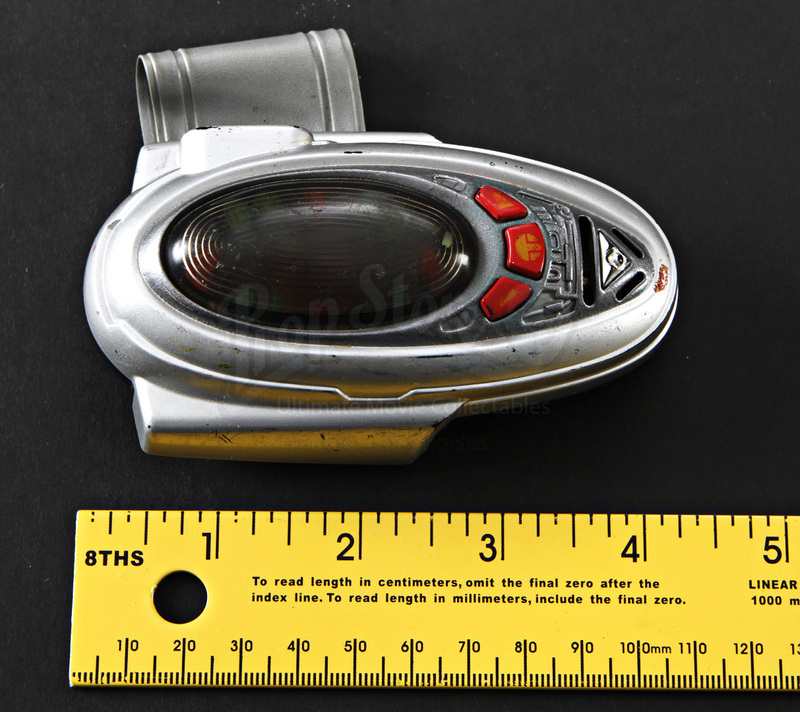 This piece is actually a toy Morpher; officially licensed toys were commonly used as props for filming throughout many Power Ranger series. 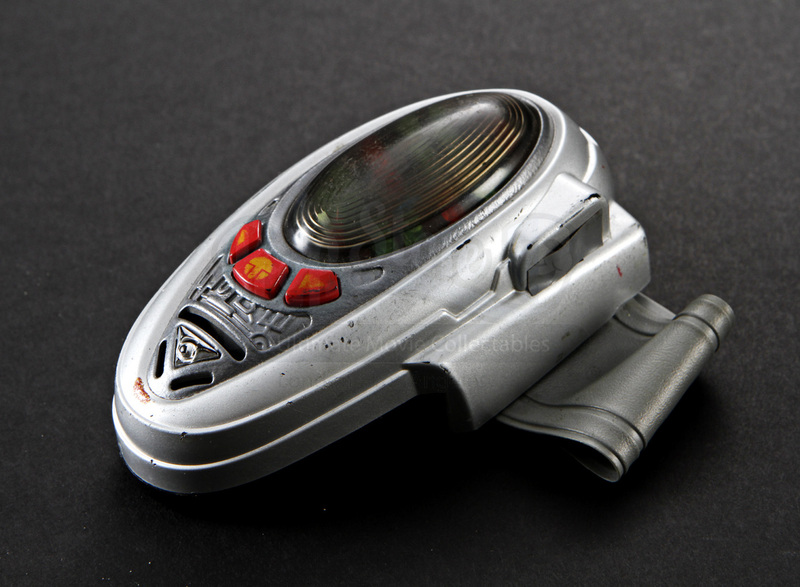 The Morpher is made from silver plastic with a detachable soft silver band on the bottom to fasten to wrist. 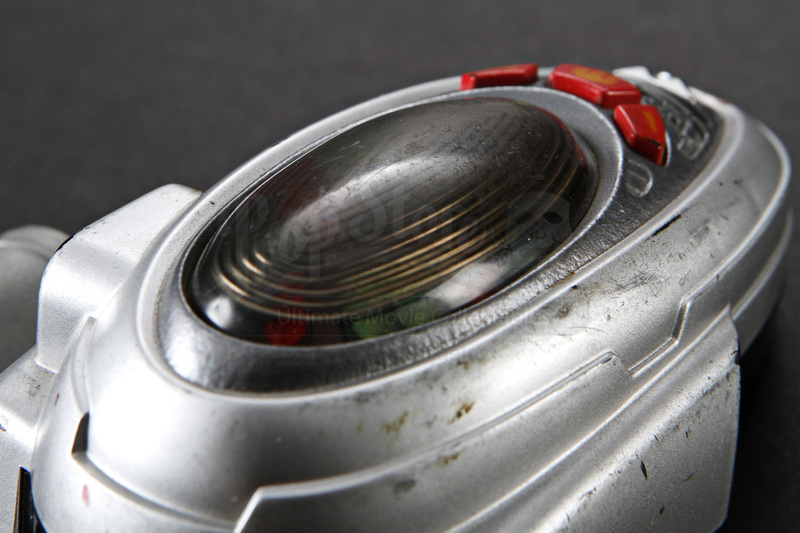 The top of the piece features a smoked transparent cover, underneath which are numerous red and green lights. 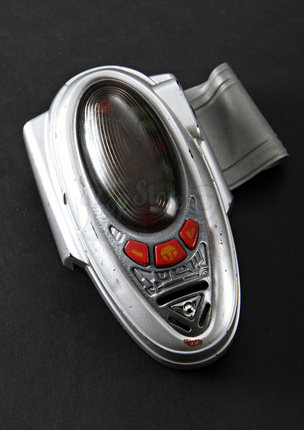 There are three red buttons located under the cover which, when pressed illuminate the lights and produces sound effects as well. 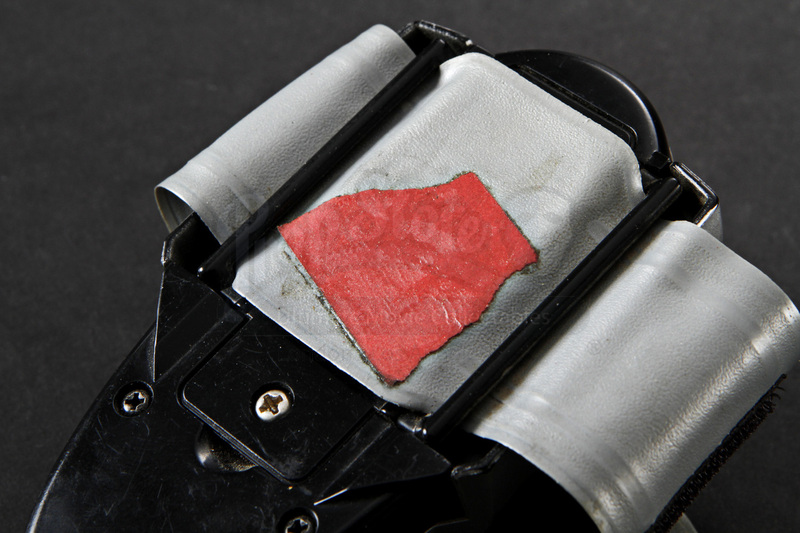 Additionally, there is a small piece of red tape attached to the wrist straps underside, possibly to identify which Ranger this belonged to. 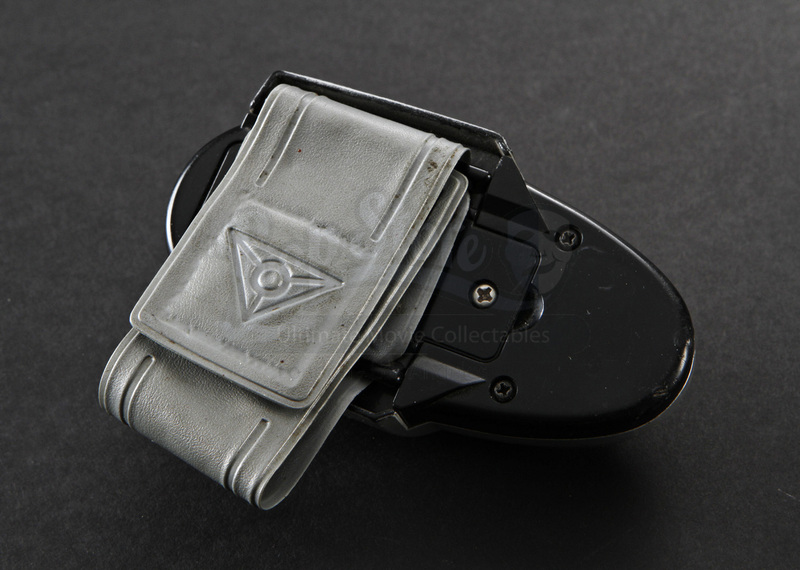 This piece measures approximately 4” x 2” (10cm x 5cm) and is in good condition with some wear due to production use.